KONG Lock-it is a treat puzzle that keeps dogs playing and engaged while they eat. 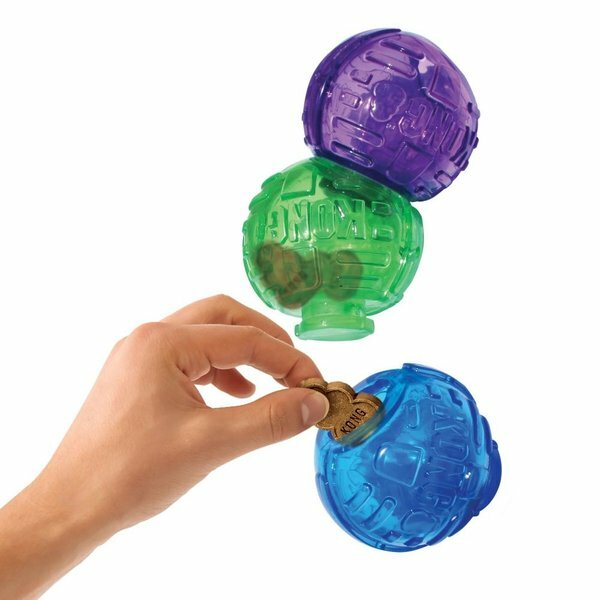 Designed for variety, this toy provides a varied challenge for dogs while rewarding them with treats or kibble along the way. Fill pods with treats or kibble and lock them together with a simple twist, to vary the challenge connect or add multiple pods together for added fun.